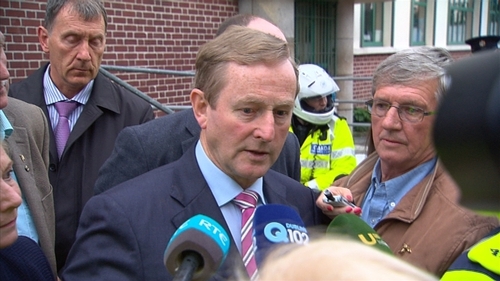 The Taoiseach has described a meeting with community leaders from Dublin's north inner city about their concerns and needs for the future as "very good". 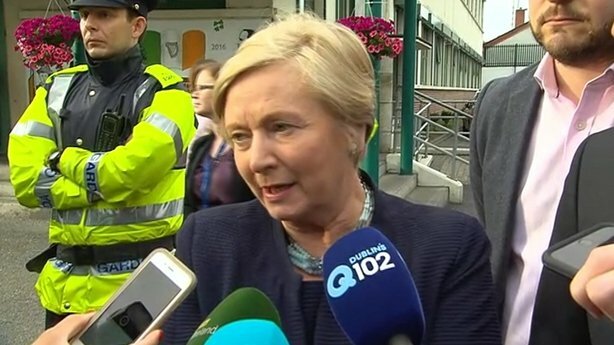 Enda Kenny, Tánaiste and Minister for Justice Frances Fitzgerald and a number of other ministers attended the meeting at St Laurence O'Toole National School. Mr Kenny said he will meet with public representatives for the area on Monday, after which a structure and strategy for the area which incorporates smaller projects will be put together. He said he will accept the challenge to attempt to deal with the issue in the time ahead. He added that the meeting was very constructive and positive and the contributions from local people were inspirational. Earlier, Minister for Public Expenditure Paschal Donohoe said a new 'whole of Government' approach is needed for dealing with the challenges that Dublin’s north inner city community are facing. He said in order to come up with a new way of managing and responding back to the challenge, it has to be something based on community support and they were beginning that tonight. Asked if the meeting was a reaction to the recent shootings in the area, he said there was proof of the support was that one of the first primary care centres of its kind will be located in the area. But he said the Government recognised the damage that has been caused by the years of harm that the country went through and he said they need to come up with a new way of responding to that. Asked if he accepted that the area had been neglected over the years he said decades of neglect have gone on in the area. He said that they were seeing the consequences of that in some of the challenges being faced. Mr Donohoe said they had made progress in the area with Grangegorman DIT, the Luas cross city project, and the National College of Ireland. However he said the reason why there is so much support from Government is that even though progress is being made, they know more needs to be done and they were there to hear the views of the community about what they believe needs to be done. He added that this would feed in to the plan the Government would put together for the community. Asked when details or terms of reference for a special socio-economic task force could be expected, Ms Fitzgerald said the important thing was to meet with the local community to hear their concerns and what they would like to see. She said then the precise mechanisms or action plans that need to be put in place would arise out of that. She said she did not think they would put a time frame on it right now. But obviously in the short term you would expect to see action in relation to the issues being identified by the community. Speaking on his arrival at the meeting, Independent Councillor Christy Burke said he welcomed the meeting but said the area needed a plan of action. There have been four murders in the area in recent months related to an ongoing feud. The latest victim, Gareth Hutch, was shot dead outside his home at Avondale House on 24 May. He is believed to be the seventh victim of a feud between the Hutch and Kinahan criminal gangs.